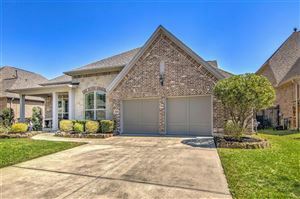 Search and view below for Barrington homes for sale listed in Kingwood, Texas. The Barrington in Kingwood is a beautiful 200-acre master-planned community. It offers some of Houston's premier home builders such as J. Patrick Homes, Darling Homes and Jaeger Homes. This is a resort lifestyle, unlike most other communities. 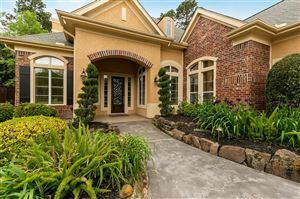 Homes are surrounded by the back nine of the Lakes Golf Course of the Kingwood Country Club. Barrington homes for sale in Kingwood range from $400,000 to over $800,000. Love golf? Search for more golf courses here. Just inside this gated community is the Barrington Manor House. With 18,000 square feet, it offers a fitness center, media center, computer center, billiards room, tennis courts, infinity edge pool, outdoor hot tub, sunning deck and a kitchen. This is an excellent place to host a party. Down the street from Barrington is the River Grove Park which is a 74-acre park located at the south end of Woodland Hills Drive. It offers a boat ramp with access to Lake Houston, fishing, picnic areas, playgrounds, pavilion, and restrooms. Across from Barrington is Deer Ridge Park which is home to baseball fields, soccer fields, and even a horse stable. Children living in Barrington Kingwood will attend Foster Elementary, Kingwood Middle School, Kingwood Park High School, and Lone Star College.